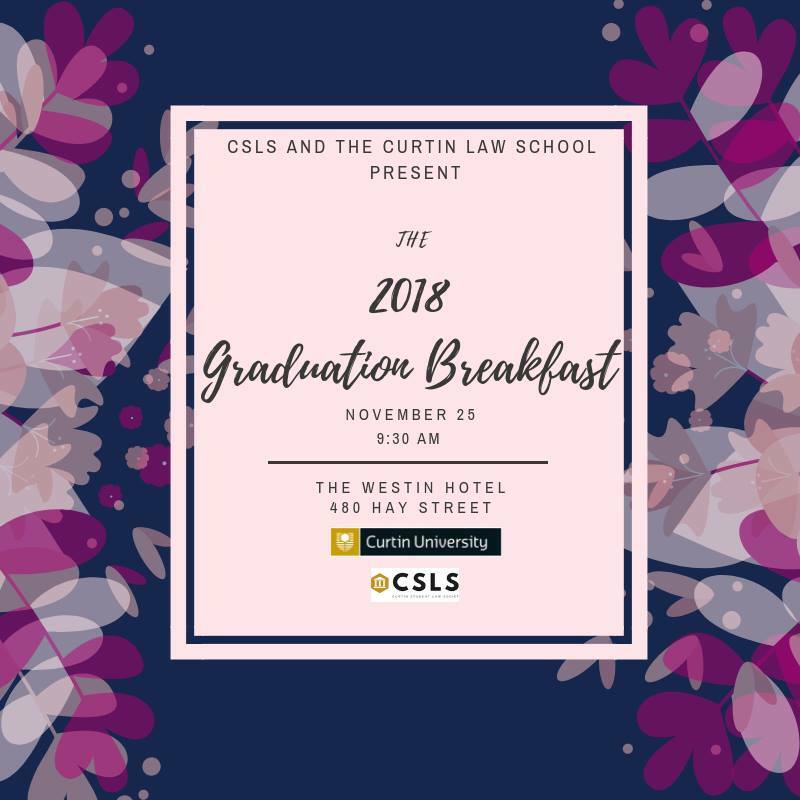 In celebration of the 2018 Curtin Law Graduates, the CSLS and Curtin Law School cordially invite you to our end of year Graduation Breakfast on November 25th. Situated in the heart of the city, the Westin Hotel is the perfect location for a delicious breakfast with a grand view to celebrate the fantastic accomplishments achieved by our 2018 graduates. This event is open to all Curtin law students who are encouraged to attend to support the achievements of their fellow peers. We promise this is not one to be missed!